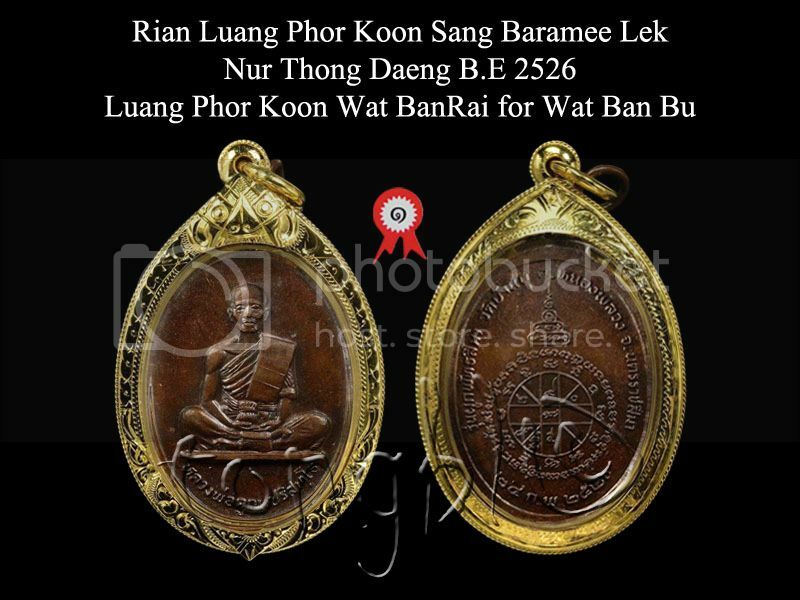 Rian Luang Phor Koon Sang Baramee Lek Nur Thong Daeng B.E 2526. 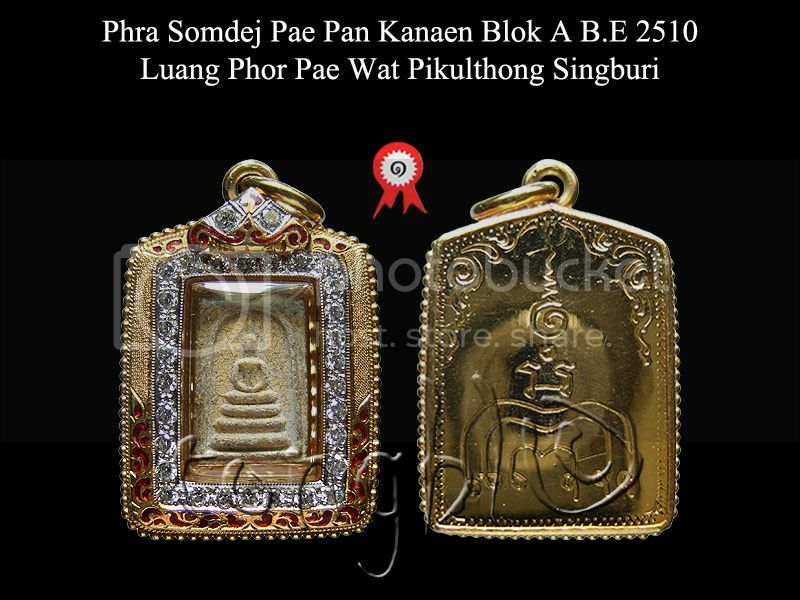 Luang Phor Koon Wat BanRai for Wat Ban Bu. 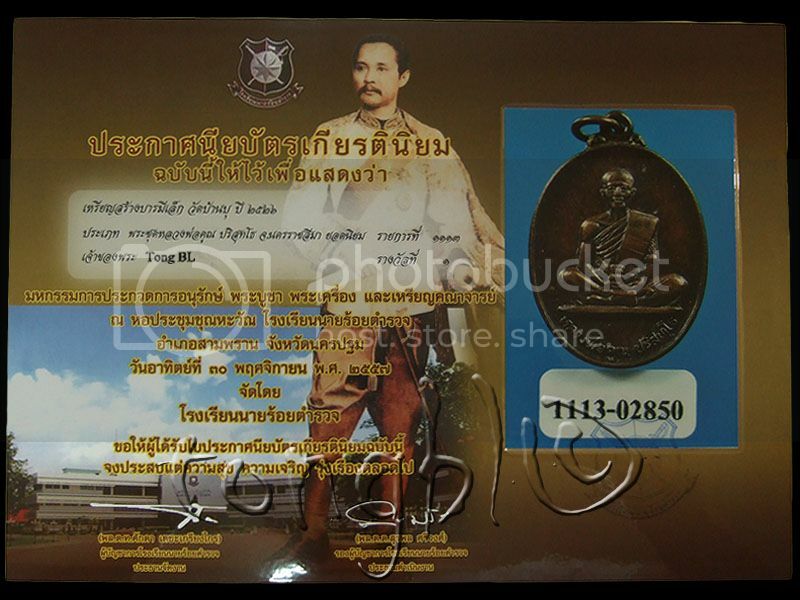 Awarded 1st placing in amulet competition at Nakhon Pathom on 30/11/2557. 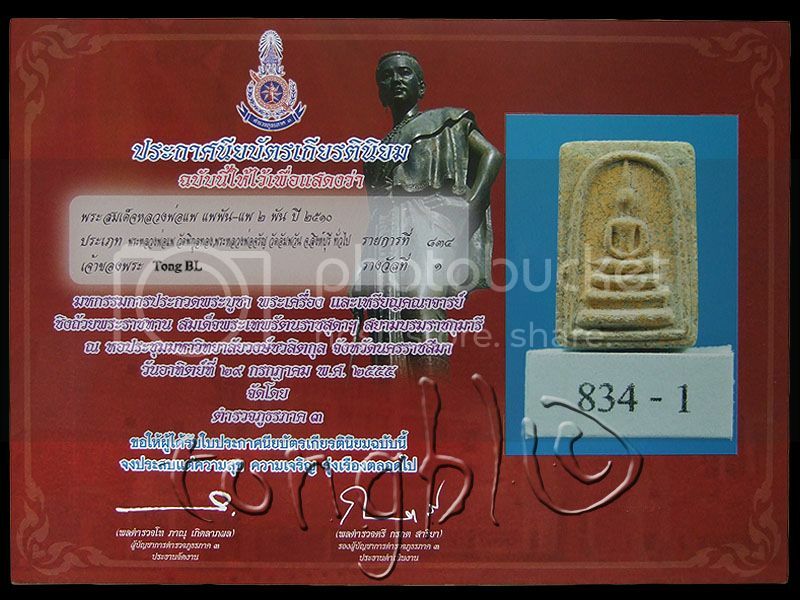 Phra Somdej Pae Pan Kanaen Blok A B.E 2510. Luang Phor Pae Wat Pikulthong Singburi. Awarded 1st placing in amulet competition.